Following the presidential election of 2012, The Church of Jesus Christ of Latter-day Saints, whose members are often nicknamed Mormons, issued an official statement. 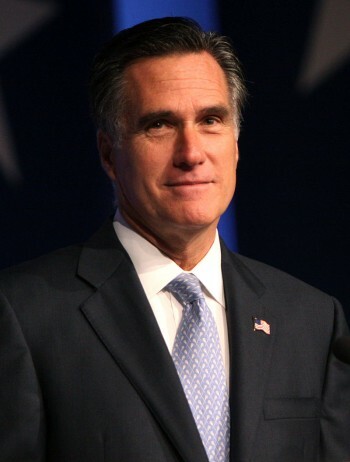 One candidate for the office of president was Mormon Mitt Romney. The other was the sitting president, Barack Obama. The Church has a policy of not endorsing candidates for office and so they had issued no endorsement for this race, despite the presence of a Mormon on the ticket. They deflected all questions about Mitt Romney and questions about his faith were answered only in terms of the religion, leaving him out of the subject. In the statement, church leaders congratulated President Obama on winning a second term. They reminded members that Mormons have a tradition of praying for our leaders both privately and in public prayers given in our congregations. They called for Americans to put aside their political differences now and to pray for the president, his administration, and Congress as they work on the challenges facing the country. They offered a hope that all these leaders would reflect wisdom and judgment as they carry out their duties. The Church also commended Governor Romney for choosing to run for president, a task which demands much of the candidate and his family. They wished him and his family the best in future endeavors. Read Church reaction to election. “The need for civility is perhaps most relevant in the realm of partisan politics. As the Church operates in countries around the world, it embraces the richness of pluralism. Thus, the political diversity of Latter-day Saints spans the ideological spectrum. Individual members are free to choose their own political philosophy and affiliation. Moreover, the Church itself is not aligned with any particular political ideology or movement. It defies category. Its moral values may be expressed in a number of parties and ideologies. The statement following the election was typical of the Church’s non-partisan approach to politics. They speak on moral issues, which are the natural territory of faith, but in a non-partisan manner. Their stances on these issues seldom line up with either major party—and of course, since Mormonism is an international faith, there are many different parties involved in the lives of members. Mormons belong to both major parties in the United States. The Mormon approach to elections is to encourage members to study the issues and pray about their choices, and then to put aside differences and work for the good of the country civilly and in unity.